This week’s Tweet of the Week really spoke to me. 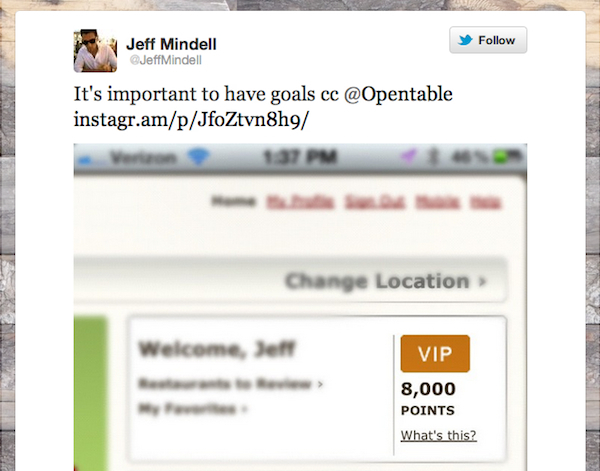 I remember “working” simultaneously to achieve both VIP status and break the 10,000 Dining Rewards Points mark. When I achieved both goals, I felt infinitely more accomplished — smug, even. In other words, you and I are very much alike, Jeff. Although I’ve reached this goal of mine, I’m hesitant to cash in on my points as I don’t want to lose my status and be back at ZERO!